ProFlowers is a popular flower retailer that offers an extensive variety of floral arrangements for customers to explore. The site sells many arrangements that entail different designs and quality features that make it one of the top online options to explore when looking for flowers. It also has some of the most popular deals around. ProFlowers was founded in 1998 in San Diego. The site was founded as a link between flower growers, suppliers and distributors. The goal of the site was to ensure that people would have an easier time with getting their flowers for all sorts of special occasions. The company has evolved over time to where it was bought out by FTD in 2014. The company has especially become popular in recent time as the television reality series the Bachelor has a special partnership with ProFlowers to offer bouquets inspired by what is featured on the hit show. What Kind of Flowers can I Purchase from Proflowers? ProFlowers sells many flowers for an extensive variety of occasions. The site sells flowers for birthdays, weddings, anniversaries and much more. Bouquets for business display purposes, sympathy gifts and housewarming needs are among the top sellers as well. The site focuses on an extensive variety of flowers like irises, lilies, roses, tulips, daisies and many others. Each bouquet for sale has its own extensive series of different features based on the types of flowers being used. These include options that feature different greenery accents and color patterns. Plants are available from ProFlowers as well. These include many potted options, wreaths and bonsai trees. Gourmet products are available including spa baskets, fruit baskets and gourmet berries. The site also sells Mrs. Fields cookie baskets. Customers can easily order products from the ProFlowers site by going to the site and looking around at different sections on the top. These include sections for specific occasions and particular types of flowers. Customers can choose items based on many points including the types of flowers to be used, their colors and even the overall design of the vase. Vases can come in many shapes and colors to fit along with the flowers, thus creating some attractive styles. A customer can easily order a product by adding it to one’s shopping cart and then entering in details on where it will be shipped to and how it will be paid for. The ordering process is facilitated with care to ensure that all transactions can move as well as possible. A personalized message can also be added in the ordering process. This special message will be delivered within the shipping container on a special card. The site takes in all major credit cards. The PayPal online wallet system can also be supported on this site. What is the ProFlowers Shipping Process Like? The shipping process will be utilized with a secure container that will preserve the quality of the flowers. In most cases it can take about three to five days to get flowers delivered. However, some next-day services are available for select products. Items will come in a box with the flowers, a vase if needed and the special message if it has been added. A small package of flower food may also be provided as well as a simple guide on how to take care of the particular flowers one has. Shipping options are available for getting products shipped to different parts of the world. Customers will have to go to the International section of the front page to take a look at what types of flowers can be shipped to different parts of the world. The charges for shipping are typically included in the prices for items in these sections. Also, the selection varies due to different international limitations with regards to what flowers can and cannot be shipped into certain countries. One fascinating aspect of the shipping process is that some items can be shipped to a destination on the same day. This is provided that the order is handled early in the day, of course. The availability of a product to be sent out on the same day will be heavily dependent on the location of the recipient and whether or not certain products are available in the area where the target address is located. The overall shipping rates will be based on how far items are shipped out and what types of items are being send out. Some premiums may be added during special times of the year like Valentine’s Day or Christmas. ProFlowers has a popular guarantee on its products. The site guarantees that the flowers and other items one orders will last for at least seven days after reaching one’s destination. Potted plants will have a fourteen-day guarantee. If a person is not satisfied with the order and the plants or flowers die out before their said time periods then the customer can get a full refund on the order or a replacement on the product at no additional cost for use. 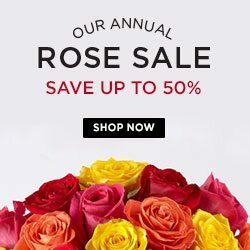 What Discounts & Promotions are Available at ProFlowers.com? Discounts are available throughout the year. The Specials section on the top of the page lists information on individual items for sale. These include items that can be up to fifty percent off of their original prices. The options that are available for sale will vary throughout the year. Some promo codes are available for use as well. These include deals of fifty percent off of an order. A customer can go to the top right corner of the main page to enter in a promo code as needed. The microphone symbol is used to let the user know to enter in the code because many of these codes are given out on many television and radio advertisements. These codes may also be found online through many third party sites. 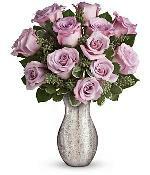 The options that people have to choose from when looking for floral gifts from ProFlowers are amazingly varied. People can choose from an extended variety of good options that are guaranteed to be fresh after they are delivered. The products for sale include many popular options that are beautiful and interesting for all to explore while coming with a variety of popular deals that can be of interest to anyone. JustFlowers is one of the oldest online flower retailers around. The company has been devoted to the online sale of flowers and bouquets since 1996. Today the company offers many different products in a clear and easy to use interface that is very attractive and makes it very easy for people to find what they want with relative ease. These products can also be found with a number of special discounts that will fit in perfectly for the needs that all people may hold for their overall needs. Founded in 1996, JustFlowers is based out of Los Angeles. The site has attained a large network for flower farms, vendors and distributors to help with delivering products to a variety of popular spots from all parts of the world. The company focuses today on the sale of many fine products that are designed to be easy to display and enjoy in any home or business while facilitating the needs for such gifts for a variety of occasions. What Flowers Are Available on JustFlowers.com? The selection of flowers for people to choose from when looking for different items of use is amazing for all to find. The site sells all kinds of flowers ranging from lilies and daisies to orchids and tulips. These are all attractive things for all to explore and are worth finding for many interests that people might hold. The site has its own special section for roses as well. People can buy up to two dozen roses from the site. 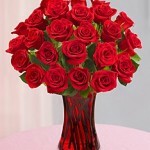 They can also get roses in an assortment of colors including red, white and yellow just to name a few. Green and blooming plants can also be found on the site as well. There are also many gift baskets to explore here including chocolate, cookie, fruit and wine baskets. Some teddy bears can also be found right on this site to create a more appealing and fun assortment of products for all to enjoy having. The JustFlowers website has made it very easy for people to find products of interest to them. The front page has individual sections for every type of occasion where flowers can be used in. These include flowers for birthdays, funerals, get well events and more. The top section of the page also has a full section that will help people to find products of interest to them. Each individual section will include full pictures and descriptions of the many products people can buy. People can zoom into pictures of individual flowers and bouquets and even get reviews of different products from customers who have bought them in the past. JustFlowers has a number of fine materials that are interesting to find and it will not be too hard for people to find items off of the site. It is always a good idea to take a look at this spot to see what’s around thanks to how easy it can be for people to get items here. Customers can easily order individual products through different options. People can buy a Shown bouquet that highlights the flowers being organized to be as close to the advertised picture as possible. A customer can also order a Deluxe bouquet. This features additional flowers that mix in with the overall arrangement. A Premium bouquet can also be ordered. This will feature more flowers and a specialized vase for storage. After this, the customer can list information on a specific spot to deliver the bouquet to. A customer can choose to get it shipped to a home, hospital, school, funeral home, church or even a rural home. Customers can easily add their credit card information alongside any promo codes that may be useful while getting an order ready. This is done to make it easier for a transaction to be facilitated as required. How Are Orders from JustFlowers Delivered? The delivery process will entail the use of a secure contains that features the flowers and vase being used in the order. People who order products before three in the afternoon in the time zone of the recipient can get a same-day delivery service to work. Orders will have to be facilitated much earlier than that during a Saturday or Sunday delivery process. Funeral services get the highest priority for all deliveries. This is primarily due to the emotional nature of such events and to ensure that the flowers can come in time for a funeral or other type of memorial service. Customers can also ask to have their items delivered on specific days. JustFlowers can help to schedule times for flowers to be harvested and delivered based on the particular times that one wants to get them out in. International shipping is available as well. A customer will have to go to the International section of the site to find specific products that are available to be shipped out to specific countries. Limits are used due to international regulations on what plants can be brought into certain countries. What Discounts Are Available at JustFlowers? The discounts that people can use when getting flowers from JustFlowers include many options that will vary throughout the year. These options include deals where people can get orders for $50 or less. The Birthday and Flowers sections of the front page feature information on different products that are available for $50 or less, for instance. This site is a part of the 1800Flowers.com family of companies. These include 1800Flowers, Fannie December, the Popcorn Family and Harry and David to name a few. The company focuses especially on great gifts for all sorts of personal and corporate events. The top bar on the site offers sections that showcase all the several types of cookies that people can order. Individual sections for special occasions are listed around the entire site. Customers can find products for all special needs and can even look around each page to see unique designs and features for all the cookies. It helps to check on each individual product page to look for different ordering options. Each page allows people to order certain products based on who will receive such cookies. This includes larger orders for families. Cheryl’s is part of the Celebration Rewards program. People can join for free and get one point earned for every dollar spent. A $20 Savings Pass is offered for every 200 points. This also offers free anniversary gifts, gift reminders and much more. The Celebrations Passport program is for more frequent customers. It is available for $29.99 per year and entails all the same benefits plus free shipping and no service charges. The shipping and return policy used by Cheryl’s a variety of delivery options. Customers can choose a ground delivery option that works in up to five business days or a two-day charge. An overnight shipping option can be chosen although a customer would have to place an order by 5pm Eastern two business days before delivery. A Saturday delivery option is also available. The total cost of shipping will vary based on both the cost of the product being shipped out and the speed of the delivery option. A full guarantee is included on all products from Cheryl’s. If a customer is not satisfied for any reason, that person can contact Cheryls with the issue to get it all managed. This may entail a proper return on a product if needed. Customers can get in touch with Cheryl’s through a proper customer service inquiry form on the website. A person can get an email or phone response from Cheryls with a proper answer to a question. This may be used to handle service issues, to change an order or to check on the status of the order among other things. Harry and David customers can find a variety of great products for sale on the site. These include fresh gourmet pears and other fruits as well as chocolates and candies, gourmet meats and cheeses and special gift baskets. Wines are also sold by Harry and David although the rules for shipping wines out will vary by each state. You can find products at different price ranges by checking on the Gifts Under $30, $50 and $75 sections of the site. These sections will provide you with access to a variety of great products with some attractive deals all the way around. You can also search the Holidays and Occasions section of the site to find details on various products that are available at certain times in the year. Gift baskets can also be searched through based on themes or products so be sure to look around to find a choice that is right for you. 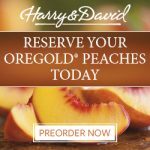 As a member of the 1800Flowers.com network, Harry and David is part of the Celebrations Rewards system. With this, you can get one point for every dollar you spend on the site. You will get a $20 savings pass for every 200 points you get. Also, you can sign up for the Celebrations Passport program for $29.99 per year. This offers free two-day business shipping and is especially designed with corporate clients in mind. Shipments can be sent out in about four to seven business days. The cost varies by the total cost of the order with shipping going from $4.99 onward. Gift baskets and wines cost extra to get shipped out. Also, wines can only be delivered in states where it is legal to get them sent out. An adult’s signature will be required when it is sent out. Returns can be sent on most products within thirty days after they are ordered. You will have to get online to send information on the return that you want to make to see that you can get it returned properly in any case. To contact Harry and David, check on the Customer Service department of the main website. You can also contact the company by phone or through email. You should be able to get a prompt response during business hours. It is best to get a query out early in the day for the best chance to get a proper response.